LactiCheck™ Mini | Page & Pedersen International ltd. The compact LactiCheck Mini Milk Analyzer provides a complete raw milk composition profile, including 10 parameters (including an optional pH measurement), in about 60 seconds! Robust and reliable, the LC-Mini offers three separate channels for testing cow, sheep and goat milk. The peristaltic pump and the unique flow-thru design facilitate high accuracy in results and greater automation in cleaning! A built-in alarm, including acoustic and visual prompts, reminds the operator of cleaning requirements. RS-232 output to PC or Printer. Ideal for farm level testing. For farm benefits using milk composition testing on farm level, please download our Farm Benefits information sheet. 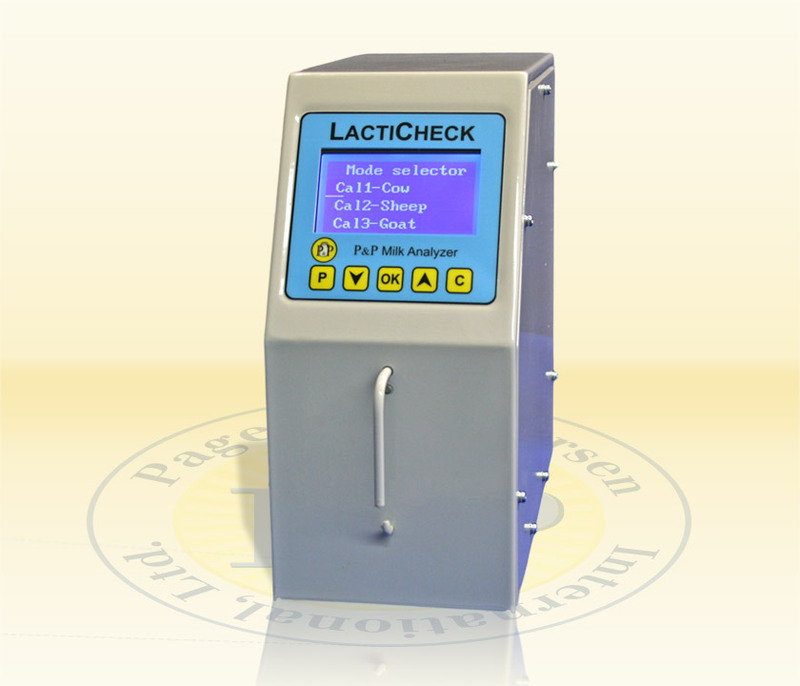 LactiCheck™ Mini Raw Milk Analyzer.